For weeks since the early days of September, London had been the main target for the Luftwaffe and during that time Luftwaffe High Command had grown increasingly despondent as their losses steadily mounted. Far from being on the brink of collapse RAF Fighter Command, though vastly outnumbered, had shown an incredible resilience.The fighting had reached a dramatic climax on Sunday 15 September when, bloodied and bruised, the Luftwaffe had lost the upper hand on a day of intense combat that had culminated with a humiliating retreat. Almost every day that had passed since then had seen the Luftwaffe do everything in its power to pummel London and regain the initiative, but the daylight raids were becoming increasingly costly. 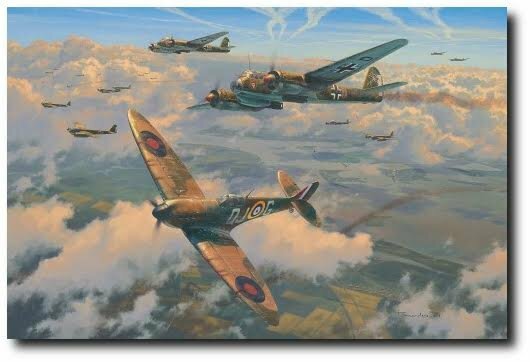 On Friday 27 September, 80 days after the Battle of Britain had officially begun, the Luftwaffe came once more, this time concentrating on the fastest bombers they had – Ju88s and Bf110s. And they came in force, principally targeting London and Bristol.